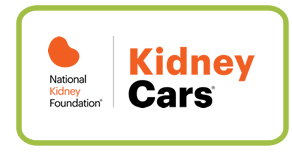 The National Kidney Foundation Serving Maryland and Delaware offers a Patient Emergency Assistance program for patients with a diagnosis of end-stage renal disease who are on dialysis, working towards a transplant, or participating in a treatment program at a chronic kidney disease clinic. This program provides help with dental care, emergency living expenses, food, medications, nutritional supplements, and transportation. Referral from a renal social worker or dietitian is required to apply for assistance. Patients may apply for up to $200 per year for financial assistance. The National Kidney Foundation Serving Maryland and Delaware can provide emergency financial assistance for a variety of special needs when other sources of help are exhausted. For the latest process/guidelines and application form, click on the appropriate link below. 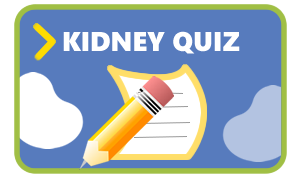 Basic eligibility requirements include a diagnosis of end-stage renal disease (eGFR<15), Maryland residency (or within the other designated service areas), and participation in an on-going treatment program (dialysis, transplant, CKD clinic). Income levels are considered. This program offers dental services for ESRD patients who are on dialysis and/or prepping for a kidney transplant. Post-transplant patients who need dental care can also apply. Orthodontic and cosmetic dental services are not provided. The goal of the dental program is to prevent poor dental health from undermining the nutritional status of patients, their ability to qualify for a transplant, and/or their quality of life. ESRD patients who encounter financial hardships sometimes need help to pay utility bills. 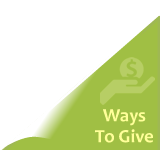 This program allocates dollars for financial assistance with utility bills. National Kidney Foundation Serving Maryland and Delaware works directly with the utility companies to make payment arrangements. This program helps ESRD patients who are not financially able to purchase their medications and do not qualify for any other government, private, or manufacturer assistance programs. The medication program is a form of short-term assistance. The program serves as a crisis intervention, providing patients with the time needed to make financial adjustments or to apply for other coverage. To ensure cost effectiveness, coverage is limited to a restricted formulary addressing renal related issues. ESRD patients who encounter financial hardships sometimes need help to pay their rent. This program works with the landlord or mortgage company to make a payment which was missed because of extenuating circumstances. It is the National Kidney Foundation Serving Maryland and Delaware’s policy to not assist patients with payments they cannot maintain on their own. This program is designed to help patients travel to and from dialysis via public transportation. Assistance is also available for reasonable car repairs. Dialysis patients often need more protein than the average healthy adult, because they lose protein during dialysis, and because kidney disease alters the body’s ability to use and process amino acids. This program provides protein supplements for both adult & pediatric dialysis patients to help balance the nutrition that their body needs. Dialysis patients often need assistance with food due to other expenses for transportation, medication, insurance and such that sadly will often place a patient in a position of paying their other bills first and not eating properly. A renal friendly diet is very important for patients with kidney disease. Therefore, National Kidney Foundation Serving Maryland and Delaware offers CKD patients with emergency food assistance.